A solid, leak-free foundation is critical to the quality of a home. We check the foundation for evidence of damage, deterioration or settling. We also examine all accessible crawl areas as necessary. We examine the building’s structure for the quality of the exposed framing and look for damage or deterioration due to weather, settlement or other issues. 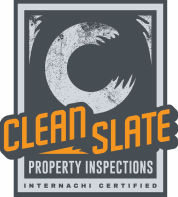 Our inspection includes a thorough check of the condition of exterior and interior surfaces, floors, walls, ceilings, attic framing and insulation. We check for the types and condition of supply and waste lines, including drains, vents and traps. We also check the condition of the water heater and heating system. We note any visible leakage or weaknesses in the plumbing system. We inspect the electric service and branch wiring, where visible, for capacity and condition. Unsafe electrical practices (unprotected conductors, ungrounded plugs, faulty wiring) will be pointed out. During the roof inspection, we examine its overall condition and look for visible signs of leakage. We also look at the condition of the gutters, downspouts, flashing and rain caps.